The SHSP is a core assistance program that provides funds to build capabilities at the State, local, tribal, and territorial levels, to enhance our national resilience to absorb disruptions and rapidly recover from incidents both natural and man-made as well as to implement the goals and objectives included in State homeland security strategies and initiatives in their State Preparedness Report (SPR). SHSP supports the implementation of risk driven, capabilities-based State Homeland Security Strategies to address capability targets set in Urban Area, State, and regional Threat and Hazard Identification and Risk Assessments (THIRAs). The capability levels are assessed in the State Preparedness Report (SPR) and inform planning, organization, equipment, training, and exercise needs to prevent, protect against, mitigate, respond to, and recover from acts of terrorism and other catastrophic events. In North Carolina, the Department of Public Safety is responsible for coordinating homeland security initiatives and various federal grants. Funds through SHSP are used to aid in the training of emergency first responders, the purchase of state-of-the-art equipment for combating and preventing terrorist acts and for planning, and exercise. Funds are also used for management, administration and the development of citizen corps projects at the local level. The FY17 allocation to the state of North Carolina was $5,472,000. The North Carolina Department of Public Safety is the only eligible entity eligible to apply to FEMA for SHSP funds. Funds are then awarded to state agencies and local law enforcement jurisdictions in North Carolina. North Carolina State agencies and local municipalities were to submit applications for funding by January 31, 2019. The NC Department of Public Safety is then to submit an application to FEMA in June 2019. Similar deadlines are anticipated annually. The FY18 allocation to the state of North Carolina is $5,246,000. 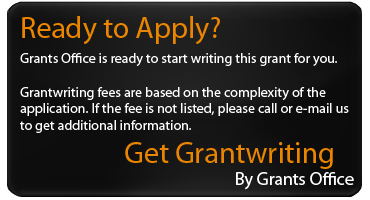 Grants are awarded directly to the State. Funds are then allocated to local governmental units. At least 80% of the funds awarded under SHSP must be obligated to local government units within 45 days of the acceptance of the grant award. Awards will last for 36 months.